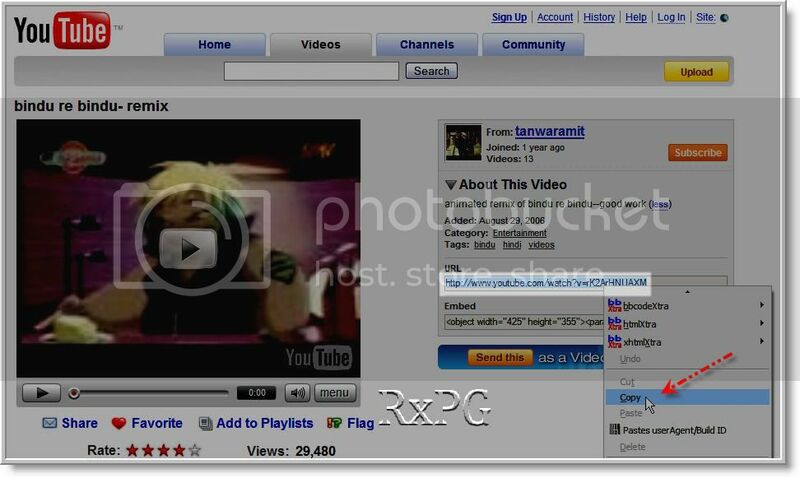 Step.3: Go to the RxPG thread where you want to post the video and press the [img][http://i153.photobucket.com/albums/s240/guy6600crazy/Siteforum26/repl34y.jpg]http://i153.photobucket.com/albums/s240/guy6600crazy/Siteforum26/repl34y.jpghttp://[/img] button. 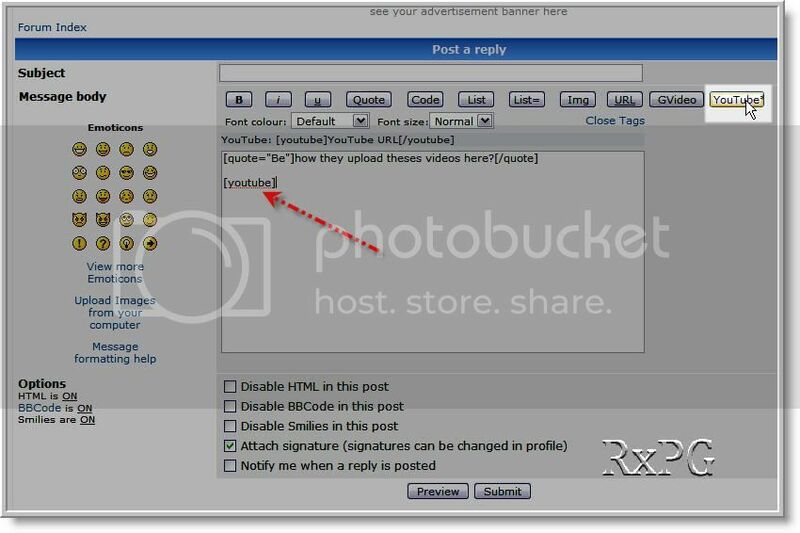 This will open the "Post a Reply" page, Look for the "YouTube" button at the upper left corner of the screen. 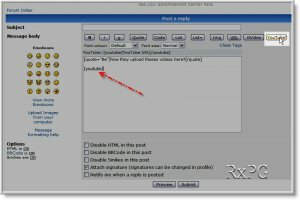 Step.4a: If you are using Internet Explorer as your browser, Select the URL you just pasted and click on the "YouTube" button. Then paste the URL(link) of the video after "[youtube]"
Press the "Youtube" button again, this will autotype "[/youtube]" in the box. Step.5: Press "Preview" and preview your video. Step.6: Press "Submit" if the video appears in the Preview. The final video in the post will look like this one.